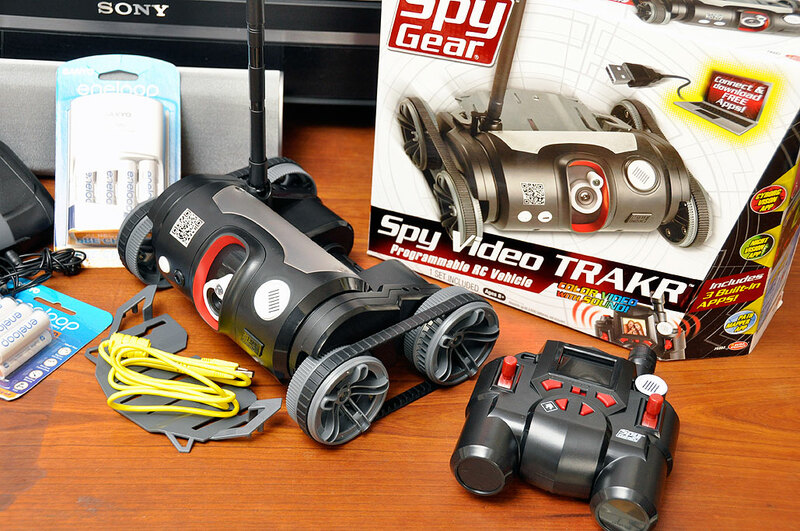 We have been SpyGear fans ever since we first got our hands on Wild Planet’s Lazer TripWire. Over the years, Wild Planet has added to its popular SpyGear line (SpyVision, ATV-360, etc…) with tech of increasing sophistication and capabilities. In February, Wild Planet announced that the Spy Video TRAKR will be available this Fall. We have been patiently waiting ever since. Today, we are happy to announce that the TRAKR is available for purchase and we have one in house. However, if you want one, get your orders in now because they WILL fly off the shelves. Over the next few week, we’ll show you why. The “killer” feature of the TRAKR is not its new hard-wired capabilities. It is that the TRAKR’s capabilities can be extended with command and control apps created by its owner. Furthermore, these new control programs, once created, can be posted and shared on a designated website for others to access, at no charge, from all over the world. To further encourage TRAKR-hacking, Wild Planet has made a development kit and programming tools available which will enable anyone to add features and capabilities in ways not imagined by its creator. More technically-advanced users can even write applications in C to control the TRAKR. For the price, this RC unit is a hacker’s dream come true. All the video/audio processing and movement control require power. The TRAKR unit takes six AA batteries and the remote controller requires four. Our battery of choice is the Eneloop rechargeable. They can be recharged up to a thousand times, hold their charge longer than anything else on the market, and are thus much more cost effective to own in the long run (not to mention much better for the environment). We have been using them for years and our first batch is still in service. That is something which we cannot say for other rechargeable batteries we have owned and used. We agree, and will be giving the TRAKR a complete workout over the next few weeks. 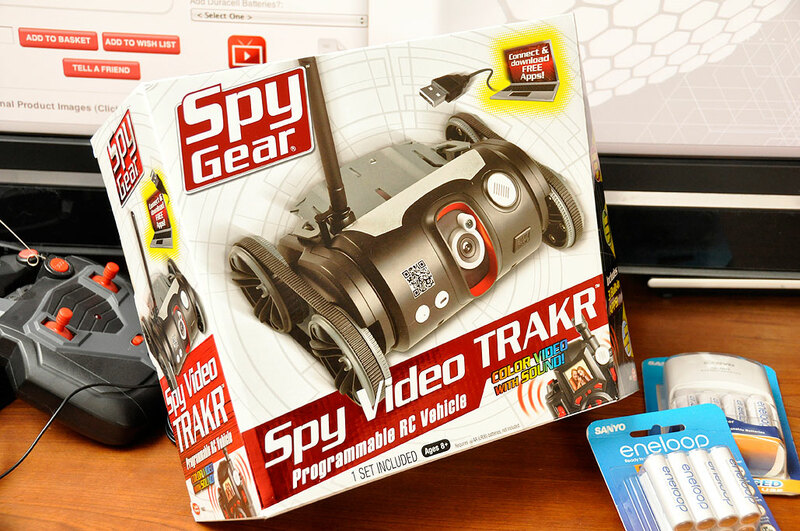 The Spy Video TRAKR puts the control where it belongs, in the hands of kids…young and old alike. The TRAKR is available now and is going to be one hot item for the Holidays. Don’t say we didn’t give you a heads-up.